In recent years Shipstern Bluff has become famous worldwide for its huge surf. 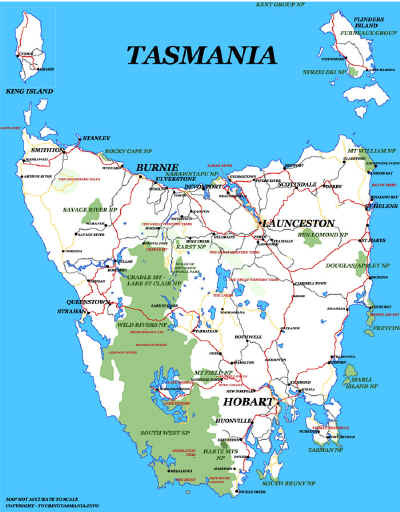 We first visited the area on the way to nearby Tunnel Bay. At the time we were unable to explore the Bluff. 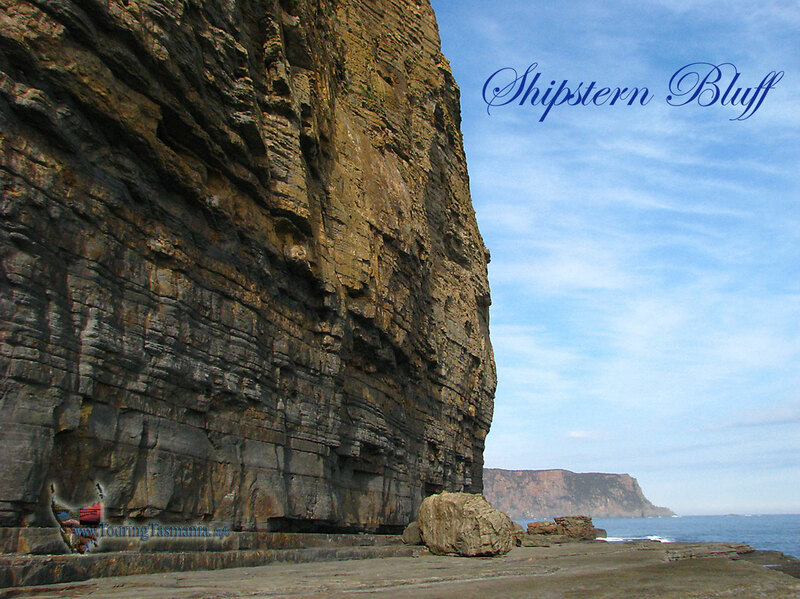 We returned in April 2011 to be pleasantly surprised by the spectacular scenic beauty of Shipstern Bluff. 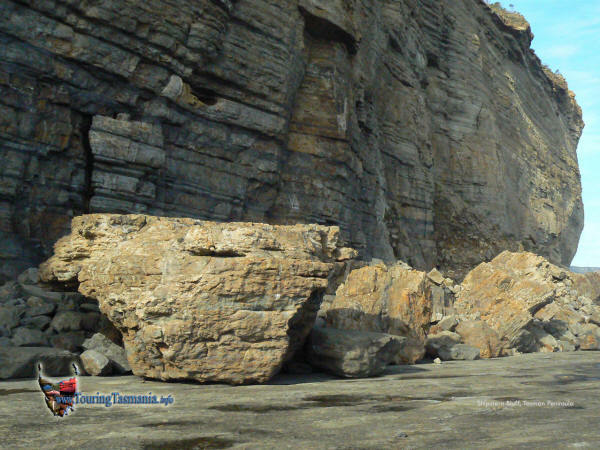 The image on the right was taken from the rock shelf below Shipstern Bluff with Cape Raoul in the distance. The track to the base of the Bluff is about another 100 metres around to the left. A steep but easy track to negotiate. The flat rock shelf continues back behind where the picture was taken. It is beyond here where the wave formations become very interesting - even on a very calm day like the day we visited. For this reason we have included a 'waves' gallery along with a track gallery (to come) and a gallery for the Bluff.